When planning your wedding, one of the biggest steps in the process is deciding where and when your special day will take place. Although many couples opt for an indoor ceremony & reception, outdoor celebrations are on the rise. Outdoor weddings provide a naturally beautiful backdrop. With a breathtaking fountain terrace sitting in front of the wrought iron arbor, this location truly creates a magical scene. The stunning gardens, architecture, and historic-feel truly transport guests to a whole new world. Greystone Hall offers both indoor and outdoor accommodations, and also has a tent pavilion. With so many options to choose from, you’re sure to find something to match your vision. This gorgeous location offers an outdoor terrace and courtyard that poses as a lovely backdrop. With beautiful greenery and flowing fountains, the Four Seasons is sure to impress. This outdoor wedding setting also offers unique seating arrangements. Whether you’re going for the traditional centre aisle seating arrangement, or for a round seating arrangement, this locations has it all. Winterthur offers various outdoor settings to choose from. With a reflecting pool, a stunning meadow, sundial garden, and terrace, this location truly has something for everyone. Along with setting the scene for the perfect day, this location is also wonderful for wedding photos. Have a venue to add to the list? Let us know in the comments below! Already have your venue situated? Make sure you have a videographer to capture all the memories! Contact Allure Films for more information today! A Magical Four Seasons Wedding – Despite The Rain! Anca & John shared a gorgeous wedding at The Four Seasons Philadelphia. This amazing venue offers a setting to meet every vision. We are always excited to see each couple’s vision come to life. Anca and John chose the ballroom for their celebration, and it was truly majestic. With decor by Arrangements Unlimited, this view was breathtaking. Anca’s facial expression says it all. Allure Films was thrilled when they asked us to document their big day. Despite the rain, we captured each beautiful moment as it unfolded. Congratulations, and best wishes Anca and John! 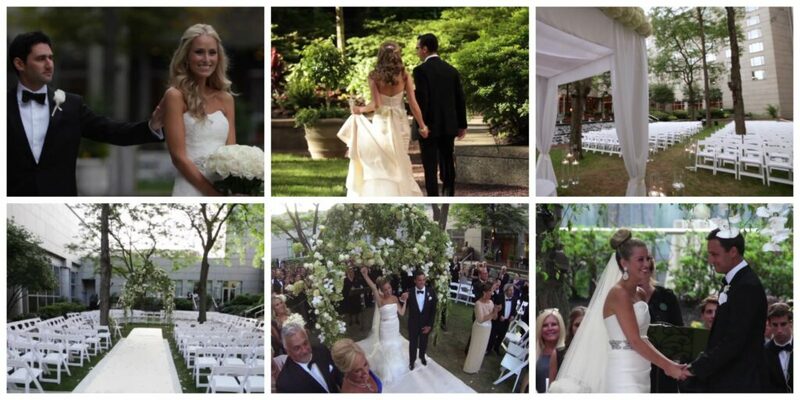 Planning a wedding at the Four Seasons or another great Philadelphia hotel? Capture all the moments on video with Allure Films! This May, we had the absolute pleasure of documenting Emily and Bryan’s Philadelphia wedding. The Four Seasons Philadelphia was even more stunning than usual, because of the gorgeous décor by Arrangements Unlimited. From the heartfelt speeches to the energetic reception entrance from our bride and groom, this wedding is unforgettable. We’re glad Philip Gabriel Photography was there to document the magical moments through photos. Please enjoy this short preview from Emily and Bryan’s big day! Congrats newlyweds! Thank you for allowing the Allure Films team to capture your day! 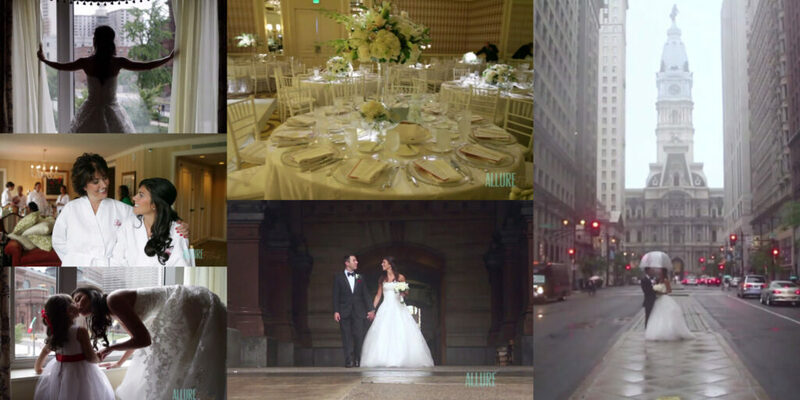 Allure Films recently had the pleasure of capturing Alexis and Jason’s big day. 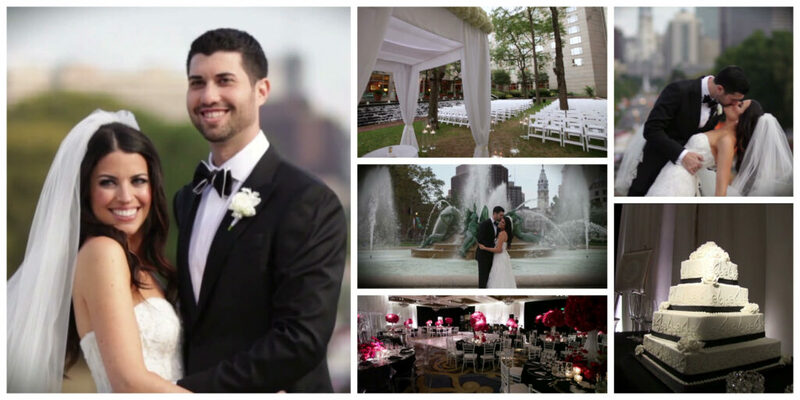 This gorgeous Philadelphia wedding took place at The Four Seasons. Brian Kappra and the team at Evantine Design left us speechless with their incredible décor. 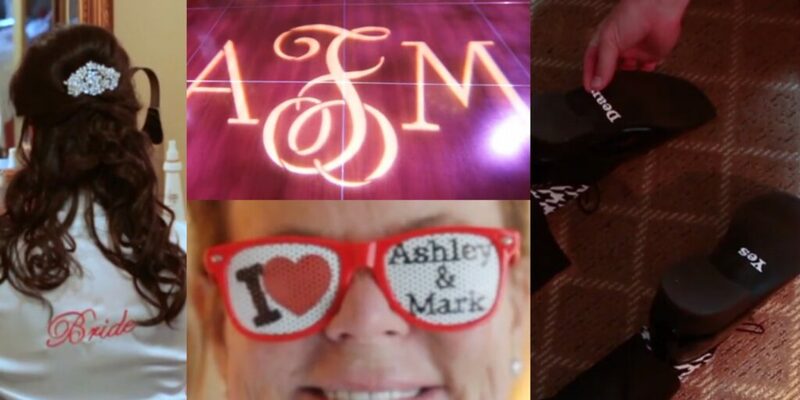 Alexis and Jason’s preview will give you a glimpse into the room transformation. It’s incredible how many details went into preparing for this lovely celebration. Our friends from Philip Gabriel Photography were also a part of capturing the magic. Check out the amazing photos here. Here’s our favorite words of wisdom from the evening: “May you always be strengthened in knowing that whatever comes your way, you’ll have each other to get through it and never give up.” Jason and Alexis, we had a blast celebrating with you. Congratulations and best wishes! 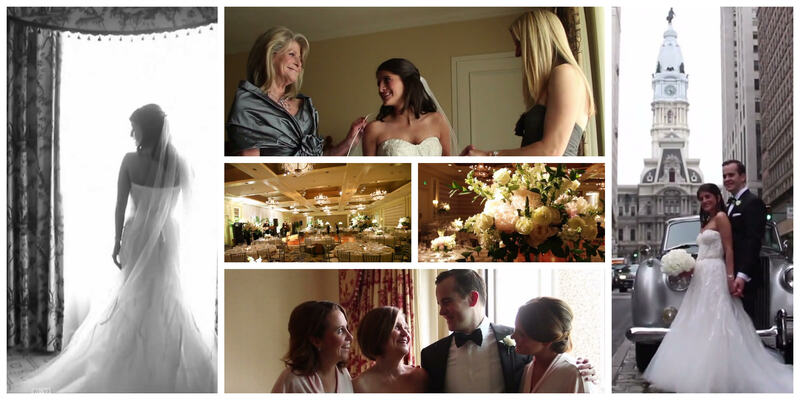 Join the Allure Films team for a preview from Ashley and Eli’s fantastic Philadelphia wedding. 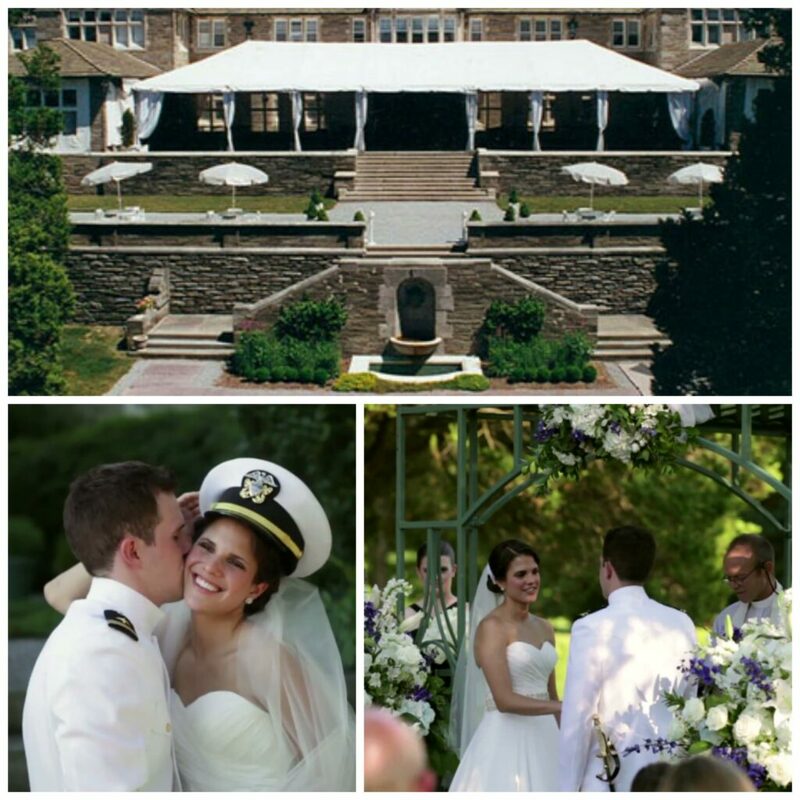 Our bride and groom sealed the deal with a gorgeous outdoor ceremony at Four Seasons Philadelphia. The near-by fountain was the perfect touch for giving this outdoor ceremony an (even more) natural feel. Following the ceremony, our newlyweds and their guests headed inside for an elegant celebration. This stunning ballroom, with décor by Petah Bashano, was the perfect spot to celebrate Ashley and Eli’s big day! As always, it was a pleasure teaming up with Philip Gabriel Photography to capture each and every exciting moment. Even the kiddos were having a blast on the dance floor! The evening had lots in store, including music by EBE – Dreamtime. Ashley and Eli’s wedding was certainly one for the books. Congrats newlyweds, and thank you for allowing us to be a part of your big day!